Changhong, the third largest Chinese television maker known for selling quality HD LEDTVs at budget price, has finally released one of its best product. Changhong LED40YC1700UA is the latest 40” LED HDTV from the company. Of course, the large number of people wouldn’t have heard about the brand. It’s a major player in Chinese market and known for its high quality products. Does this latest television manage to deliver the same premium experience as its revels? We try to find out in this Changhong 40″ LED HDTV – LED40YC1700UA review. An ECO-Friendly TV with Ultra Clear video processor engine, full HD 1080p, multi-dimensional color/sharpness/NR technology and advanced power-saving technologies. This model delivers stunning pictures and sound quality, while it conserves energy. Additional features include unique Eye-Care function, built-in SRS and Psychoacoustic technology which automatically adjust the volume. This latest entrant has good combination of high-end hardware, useful features and top-notch specifications. We don’t recommend an electronic product based solely on specifications. We were keen to know if this LED Television was worth its price tag despite impressive specifications. Having used the TV for few days, we have been fairly impressed by the display quality, design, performance, hardware specification and built-quality. What’s more surprising is that this Changhong 40” LED HDTV delivered a user experience that was as good, if not better than of its competitors. Including this, most of the Changhong LED televisions we reviewed has god viewing angles and decent color saturation. Display quality of this model was more than what we expected at this price. Text, videos and games appear extremely sharp and crisp. The display is bright, colors appear quite natural, and identifying individual pixels is next to impossible. We found the screen to be less reflective and outdoor legibility was pretty good. The build quality of this television does inspire confidence, made entirely of good quality plastic which will last for long. We’re now used to seeing electronic product makers introducing cheaper, under-powered variants of televisions. But it’s not often we see a HDTV of the same caliber at a much lower price tag. With decent specification and superior display quality, it is certainly one of the best budgeted television available in the market. The comparable specification, quality hardware and overall performance compensate more than enough for the price tag. 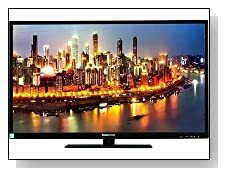 If you’re looking for a good quality and durable product under $300, then Changhong LED HDTV should easily be your first choice.